CLOSEOUTS. 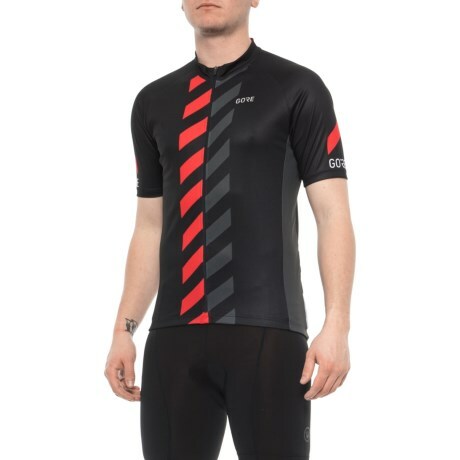 The Gore Bike Wear C3 Vertical cycling jersey sports moisture-wicking, quick-drying fabric and a full zip for even better ventilation on the long rides. Available Colors: WHITE/RED, BLACK/RED. Sizes: S, M, L, XL.